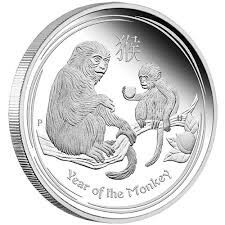 The reverse of each coin depicts an adult monkey and a baby monkey sitting in a peach tree. The baby is holding a peach, which is symbolic of longevity and immortality. 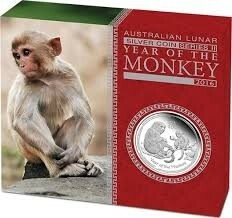 The Chinese character for ‘monkey’ and the inscription ‘Year of the Monkey’ also appear in the design with The Perth Mint’s traditional ‘P’ mintmark. Issue limits of 8,000 individual 1/2oz coins. 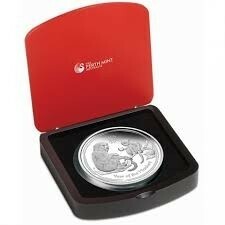 Each coin and three-coin set is housed in a stylish red and black display case and illustrated lunar-themed shipper, and is accompanied by a numbered Certificate of Authenticity.